Lublin is a Polish city, the capital of the Lublin Voivodeship. The city has a population of about 350 000 people. The first permanent settlement in the place where today Lublin is located was founded in the early Middle Ages. In the eleventh century the settlement was an important commercial center. Since Lublin is located in the eastern part of the country, it is a city with important strategic military importance. The settlement, which is formed at that time, in the place of modern Lublin, was called Czwartek. For the first time the name of the city of Lublin was mentioned in a written document from 1198. It is, however, that this name came into general use much earlier. The city became subject to attacks by the Tartars and Lithuanians and was destroyed several times during the attacks. In 1341 was built a magnificent castle, and Lublin itself is surrounded by solid walls. At the end of the fourteenth century the town acquired trading privileges from King Władysław Jagiełło. After the reconciliation of Lithuania and Poland, the city became an important commercial center, which carries much of the trade between the two countries. In 1474 the area around Lublin was annexed to the city and thus emerged the vooevodship of Lublin. In the fifteenth century the city grew rapidly. The town hosts the biggest trade fairs of the Polish-Lithuanian community. In 1569, in the city was signed the Union of Lublin, which unites Poland and Lithuania. In 1578 in the city of Lublin was created the royal tribunal, which is the highest court in Poland at that time. From the second half of the sixteenth century, began the Lublin reform movements. One of the most important Jewish communities in Poland was established at the same time in the city. Students from around the world especially from Europe are flocking in Lublin to study Talmud and Kabbalah. Because of this, the city has been nicknamed "Jewish Oxford". In the seventeenth century the city suffered a decline, which is caused by the Russian-Ukrainian invasion in the mid-century and Swedish invasion during the Northern War. After the third partition of Poland, in 1795 Lublin appears to be part of the Austrian Empire, and since 1809 part of Duchy of Warsaw. Early nineteenth century was marked by a boom in modern construction – building of new squares, streets and public buildings. A railway station is built, which enhances the development of industry in the city. Russians who run the city forfeit power in 1915, when Lublin was occupied by Austro-Hungarian and German armies. In 1918 in Lublin is located the government of independent Poland. During the war the city continues to evolve and grow. At that time, was established first aircraft factory in the country, located in Lublin. In 1918 was founded the Catholic University of Lublin. After 1939, in the city lived many Germans, and in Lublin was built a camp for Jews. From the camp of twenty-six thousand Jews were deported to the death camp at Bełżec. The remaining Jews from the Lublin camp, which were not sent to death camps, were killed in the war. After the war, the few surviving Jews rebuilt the Jewish community in the city. In July 1944 the city was captured by troops of the Soviet army and it became the temporary capital of the communist Polish Committee of National Liberation. This was the seat of government, which is managed by Soviet forces. In 1945 the capital was moved to Warsaw. Then Lublin continued to grow and becomes a beautiful and modern city. In the eighties fifty thousand factory workers announced a two-week strike, occupying factories, instead of marching in the streets. Today, the city provides tourists unforgettable views of beautiful buildings and great experiences with the touch of antiquity. 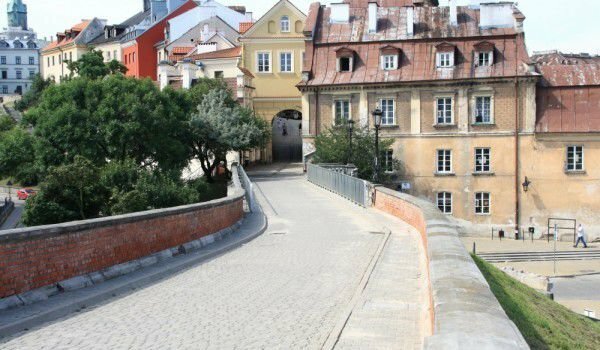 Lublin from early spring comes to life and is a favorite of many tourists. Walk for pedestrians in Krakowskie Przedmiescie, and the square in the old city market are places that people fill in the first warm days. Renaissance narrow streets of the town are a real pleasure for tourists who enjoy long walks. Old Town Square Market has not changed much over the last few centuries. It keeps the old Polish spirit and is full of sites for viewing. The Royal Castle, which was built in Neo-Gothic style, is a view worth seeing. In the nineteenth century it served as a city prison, but today the building is the museum of the city of Lublin. The castle has a beautiful chapel, built in the fourteenth century. Within the castle is the church of the Holy Trinity. The church is decorated with medieval images. Tourists always climb on top of the church, which offers incredible views over the city. Another landmark is the Dominican monastery, which provides details of the Polish Catholic heritage. The city has the museum Majdanek, which is dedicated to Holocaust victims. The large Jewish community that inhabited Lublin, was destroyed in a concentration camp in Majdanek. In the museum can be seen horrific details of those dark times.